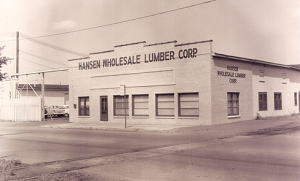 Hansen Wholesale Lumber Co. was founded by entrepreneur Harvey Hansen in Detroit, Michigan in 1940. A businessman with many interests, Harvey made a name for himself in the lumber industry while still maintaining his other role as Vice President of Knorr Broadcasting Co., a station which owned the Detroit Tigers Baseball Club. In 1957, Harvey said goodbye to Knorr and replaced that responsibility with a new role as active Detroit Tigers President. Over the years, Harvey split his time between Knorr Broadcasting, the Tigers and the development of Hansen Corporation. The lumber company became a national business as it not only wholesaled lumber, but it owned lumber mills that shipped throughout the United States. Jack Gillespie was the next visionary to take the reins at Hansen. After 18 years of lumber sales for T.W. Hager Lumber Company, Jack moved to Hansen. He became President of the company in 1964 and purchased controlling interest in 1966. He used his experience in the industry to redirect the business from the practice of selling commodities to “managing” do-it-yourself building supply products. 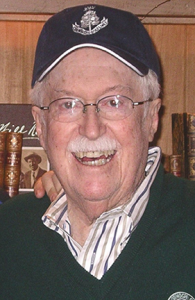 Jack also continued to grow Hansen’s reputation as a premier distributor within the industry through his involvement with industry associations such as the National Building Materials Distributors Association (N.B.M.D.A.) and the Hoo-Hoo Club. 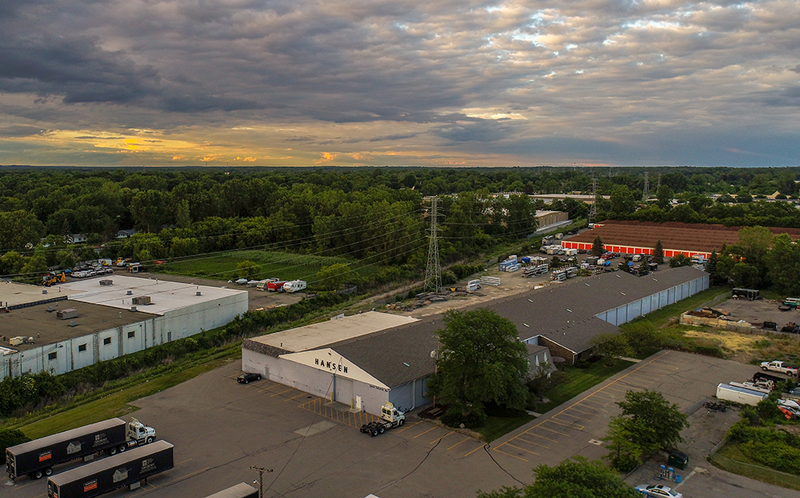 In the late 1970’s, Hansen relocated to a new facility in Walled Lake, Michigan, where it remains today. By 1981, however, the company found itself trapped in a challenging economy, with high interest rates and declining sales, and was forced to file for bankruptcy protection. In June of 1982, Jim Frensley and Marty Gillespie saw an opportunity to reorganize Hansen Corporation into a profitable business and sought to purchase the assets of the company. The new company focused on specialized services for Hansen’s dealer base, particularly home center chains, as well as shifting the product mix from high-volume SKUs to high-value, branded items. The company went through the ownership change and was renamed Hansen Marketing Services, Inc. to reflect the broader direction of the company. Hansen’s hallmark service to the building material industry has expanded and evolved for well over 60 years, and will continue to do so as we strive to serve our customers and suppliers better with mutually beneficial programs and services.